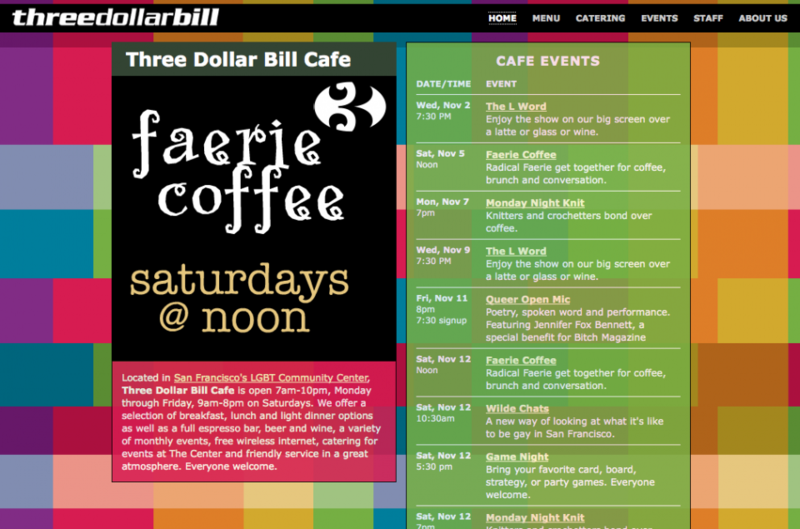 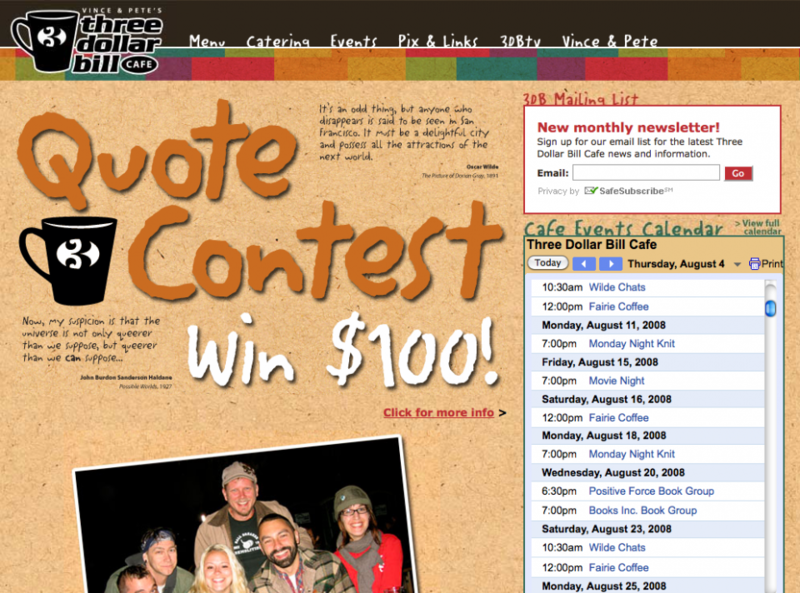 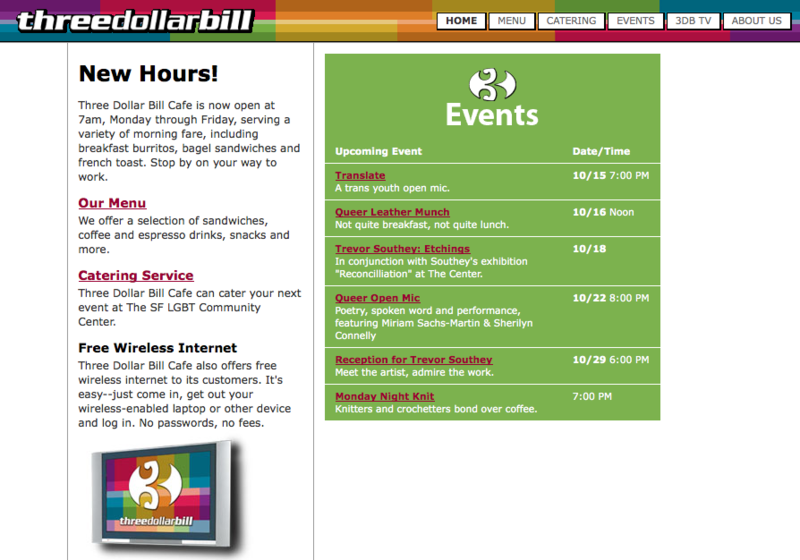 Three Dollar Bill Cafe’s post-closing Web site came down yesterday. 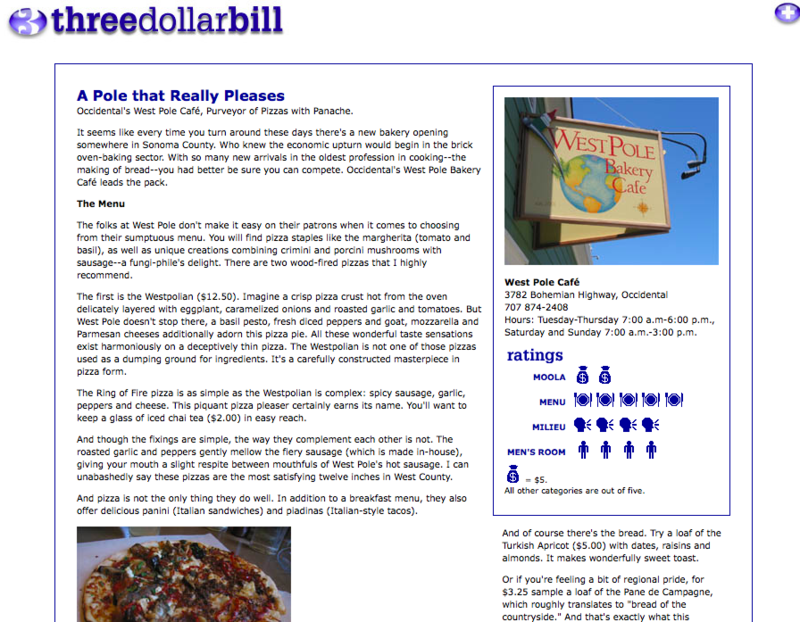 Vince and I have had the threedollarbill.com domain for over 10 years and it is now ready for its next incarnation. 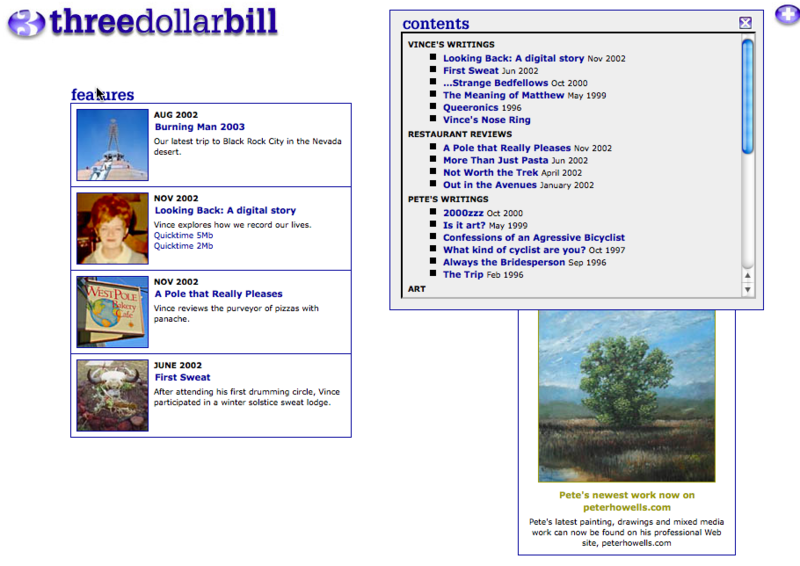 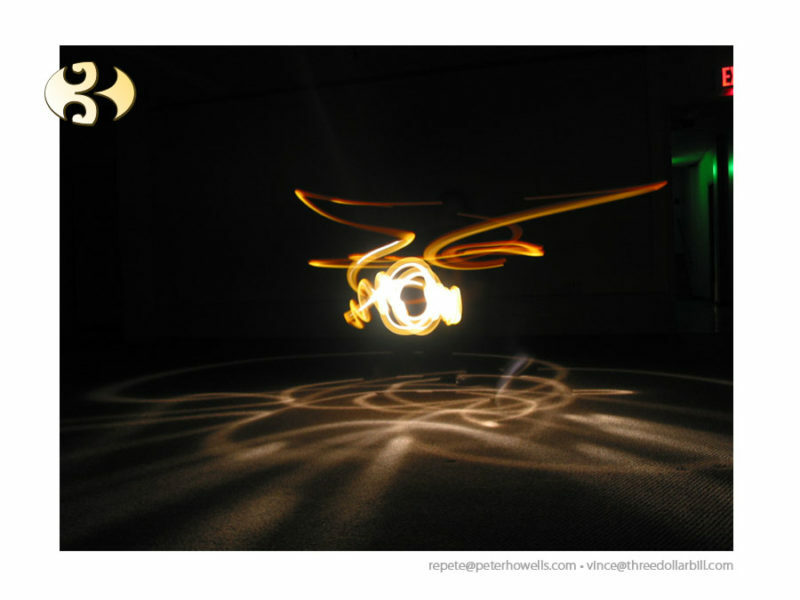 Below is a small gallery of previous incarnations.